Mayor: "This is a Strike of Choice"
As some 29,000 teachers declared their first Chicago strike in 25 years, Mayor Rahm Emanuel called the move "unnecessary" and "a strike by choice." "It's avoidable," Emanuel said, "and our kids do not deserve this." In what's been considered a major test in the mayor's administration, the strike leaves more than 350,000 students unsupervised at the end of a violent summer. Emanuel told reporters his team is ready "at any time now to pick up where we left off" after school board members, he said, met with the Chicago Teachers Union for more than 400 hours in 100 meetings over the past five months. Lewis: "We Have Failed to Reach an Agreement"
For the first time in 25 years, teachers in the country's third-largest school system will walk off the job Monday after failing to reach a contract deal with district officials. "I am disappointed that we have come to this point given that even all the other parties acknowledged how close we are, because this is a strike of choice," Emanuel said. "Because of how close we are, it is a strike that is unnecessary." Emanuel said Chicago Public Schools offered a detailed proposal that is "very respectful of our teachers, does right by our children and is fair to our taxpayers." He said the board asked the union to hold off on its strike deadline a week after most public school students returned to class, but as of Monday morning teachers filed onto picket lines. 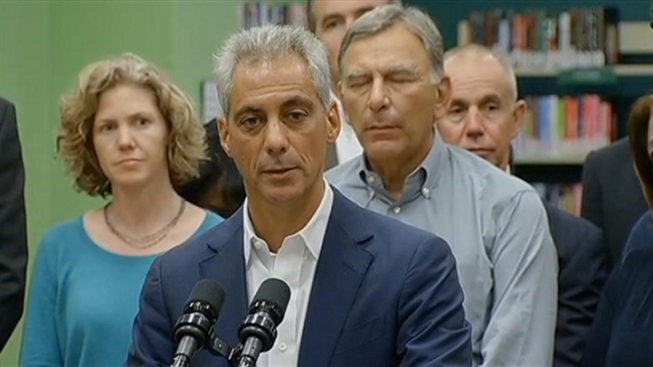 "The issues that remain are minor, and minor in the sense that they are limited to two issues," Emanuel said. 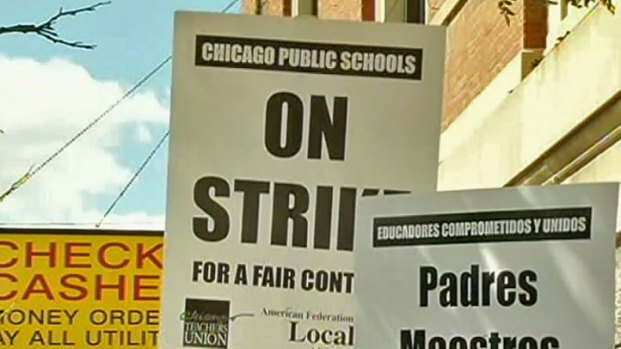 Chicago Public Schools' Chief Education Advisor Barbara Byrd Bennett explains how contract talks broke down, and what's next for students participating in the Children First program while Chicago teachers are on strike. School Board president David Vitale said Sunday more than 20 offers had been made to teachers throughout the talks in hopes of preventing a strike. 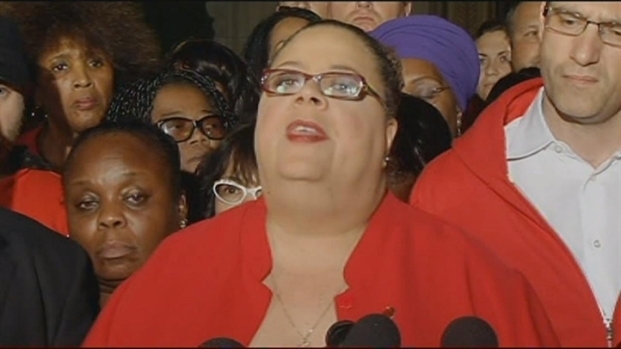 Chief education advisor Barbara Byrd Bennett told NBC Chicago Monday that health care and a contentious teacher evaluation process remained sticking points. "We made incredible concessions," Bennett said of the evaluations. In the end it wasn't enough. "Actually throughout the negotiations, I did not believe we would have a strike, that we would be facing a strike," she said. "We are very, very close to an agreement, and our hope was always that our children would be in the classrooms where they belong." Emanuel said he instructed his team to be ready to continue negotiations immediately. The next meeting was scheduled for 10 a.m. Monday. "[It's] very, very painful," Bennett said. "I look at this issue not only through the eyes of a mother but the eyes of a teacher and a principal, and it's just too terribly painful for us to endure. So we're going to work very, very hard this morning, tomorrow and as long as it takes."